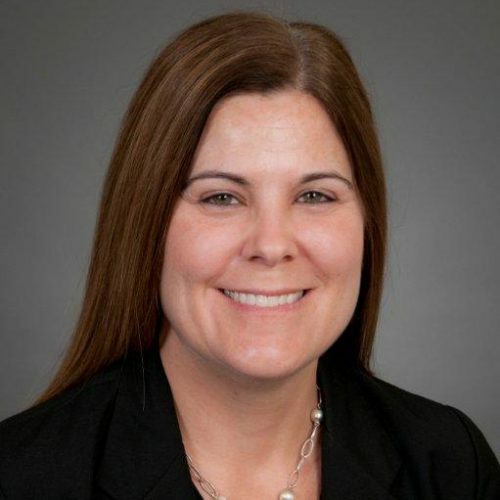 Elizabeth “Paige” Baumann, Senior Vice President, has been with Fidelity Investments for approximately 19 years and serves as Fidelity’s Chief Anti-Money Laundering Officer, as well as the anti-money laundering officer for certain other Fidelity financial institutions. She actively represents Fidelity from an AML perspective in various industry groups, including the Securities Industry and Financial Markets Association (SIFMA) and the Investment Company Institute (ICI). She has played other key roles in the AML programs of all of Fidelity’s U.S. financial institutions covered under the Bank Secrecy Act of 1970, as amended, and related regulations (collectively, the “BSA”) since April of 2002. Ms. Baumann served as the co-chair of SIFMA’s AML and Financial Crimes Committee January 2011 through December 2013. She also represented the ICI on several sub-committees of the Bank Secrecy Act Advisory Group (BSAAG), which consists of representatives from federal regulatory and law enforcement agencies, financial institutions, and trade groups with members subject to the BSA. Ms. Baumann is a frequent moderator or presenter on AML-related conference panels and webinars. Ms. Baumann earned her J.D. from the Tulane School of Law and her B.A. from Trinity College in Hartford, Connecticut. She is a member of both the California and Massachusetts bars.